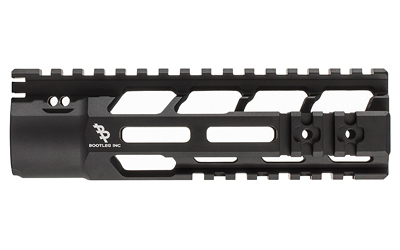 Home > AR-15 Parts > Rails and Handguards > Bootleg PicLOK/M-LOK Handguard 7"
The Bootleg 7" Handguard for AR-15 has a lightweight skeletonized design with a full length Mil-Spec Picatinny rail on top, and M-LOK slots on the other three sides as well as Picatinny rail sections on the forward sections of the sides and bottom. 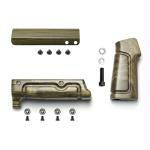 Extruded from 6061 aluminum for lightweight and durability and finished with Mil-Spec hard anodizing coating. 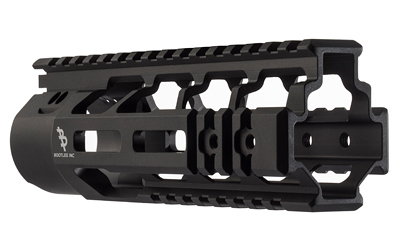 This rail includes the Bravo Company KMR Mounting System for easy installation on new builds or replacement of existing BCM KMR handguard.